At In The Garden Design we believe that starting with the strong foundation of a well-designed garden supports healthy plants, functional spaces and ultimately a strong return on your investment. That's why design is at the core of our business, backed by the expertise of our construction and maintenance teams. Boss Gardenscapes is a family-owned business dedicated to providing exceptional service in all areas of garden creation. Boss will realise your vision & provide the unexpected touch that comes from over 10 years of experience. Boss offers a complete project management service guiding you through the dynamic & constantly evolving landscape process. Our goal is to make the journey as pleasurable & rewarding as the final result — a well designed garden to complement your needs & lifestyle. With over 15 years industry experience, we can help with all aspects of landscaping from design through to construction. Our goal is to create an outdoor space that is not only beautiful but also functional. We pride ourselves on attention to detail and a high quality finish. We love helping passionate and curious people create beautiful, meaningful landscapes. 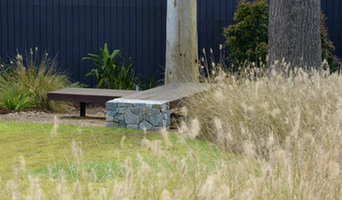 Landscapology is a Brisbane-based design studio specialising in bespoke landscape and garden design. We work with home owners to create memorable outdoor living spaces, and with industry clients to deliver the public realm for residential, parkland, heritage and community projects. We respect, value and are inspired by the places we work. We celebrate detail and delight. We think productive gardens are beautiful. We investigate, explore and test to get the best solution. The practice was established by Amalie Wright, a passionate designer committed to achieving positive change through good design. As a landscape architect, urban designer and architect Amalie brings a broad perspective to private and public realm projects. Over the past 20 years she has worked across many project types and scales, from public art and furniture, to residential developments and parklands, resort hotels, commercial precincts and transport infrastructure. In addition to her practice Amalie tutors in landscape and architecture design at the Queensland University of Technology, regularly mentors candidates and sits on the assessment panels for landscape architectural registration in Queensland. She is a member of national CPD and Honours Committees and sits on the National Council (Board) of the Australian Institute of Landscape Architects. 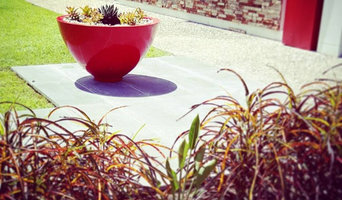 SEED Landscape Design is a dynamic Brisbane-based landscape design company offering landscape architectural services to South East Queensland. We aim for creative, sustainable designs that support environmentally responsive concepts. SEED Landscape Design has built an impressive list of clients and delivered a diverse range of landscape design projects. We continue to provide innovative solutions for all forms of landscape requirements, both residential landscape design and commercial landscape projects. Looking around for landscapers in Brisbane? Well, with a company name like Landscape Brisbane, you've definitely found one! 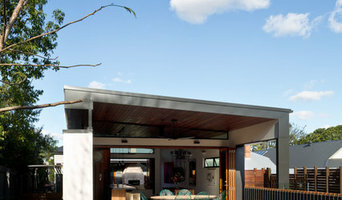 Welcome to Landscape Brisbane - Ricky Burgess, Director of Landscape Brisbane, has a wealth of experience, knowledge and creative flair for landscape designs that belies his age. Please take the time to peruse our landscaping web site and you'll soon discover the unique flair in our landscaping projects that sets Landscape Brisbane aside from the competing landscapers in Brisbane. There's also a comprehensive list of Brisbane landscaping services if you want to know whether we can complete the landscape you have in mind. Steven Clegg Design is a Brisbane-based landscape firm providing exceptional garden design, landscaping and garden maintenance services to a range of residential and commercial clients. Working closely with our clients, we strive to produce gardens which reflect the juxtaposition between the classical and contemporary while also achieving design solutions that effortlessly engage through harmonising form and function. Our extensive portfolio includes acreage properties, suburban residences, inner city courtyards and everything in between. 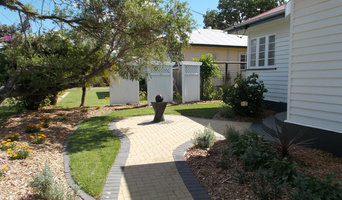 Our vision meanwhile, is to create gardens with depth and character, (attuned to the Queensland climate and lifestyle), that are low maintenance and a pleasure to be in. Appropriate and relevant design as well as accurate delivery is important to us and underpins everything we do. We are Registered Landscape Architects and have a passion for working closely with our Clients and their Contractors to deliver commercial and high end landscapes successfully. A beautiful, well-maintained garden need not be a luxury. 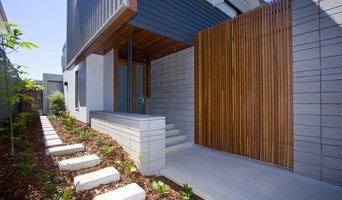 GBD Industries is a specialist Brisbane garden design, construction and grounds maintenance company. We deliver quality grounds maintenance services for commercial properties including units and apartment complexes, retirement complexes and commercial premises. Our proven experience and consistency means that your property will look brilliant all year round. We also deliver reliable residential landscape maintenance services including acreage lawn mowing services and weed-free lawn maintenance for those who appreciate a stunning lawn. Looking to renovate your garden or starting from scratch? Our landscaping team will work closely with you to design and build a garden that meets your personal goals on a budget that you can afford. We offer hassle free quotes and plenty of great advice to help you make the most of your investment. Want to know more? Ask us for a quick quote.